First impressions can be tough, and in the AAA games industry, a game’s first impression is often its cinematic trailer. When a title is revealed in its early development stages, or it just isn’t ready enough to show live gameplay, a cinematic can convey the game’s concept in a flashy extravaganza in order to start the hype-train. Say what you will about the effect of hype in the industry, but taken on their own, cinematic trailers can be amazing pieces of film-making. Heck, even when put alongside the game they’re showcasing they can still stand out. I regard the cinematic trailer for World of Warcraft: Wrath of the Lich King to be the best thing about that whole game. Now, animation studio Plastic Wax didn’t make that Lich King trailer, but the Sydney based company has made its fair share of high profile titles. The team has been responsible for the launch trailers of Gearbox’s Borderlands, the ending scenes of Bioshock, videos for Neverwinter Nights, Infinite Crisis, Turok, Darksiders 2, Gears of War Ultimate Edition, and trailers for Homefront 2 and many of the Lego series, most recently Lego Dimensions. Several key members of Plastic Wax held a panel at PAX Australia this past weekend, and I got the chance to sit down with Dane Maddams (executive vice president), Mick Hammell (production manager) and Matt Dignam (studio manager) afterwards to learn a little about their process in creating the trailers for the latter three games. What I came away with was that cinematic creators have more creative control than you’d expect, their most adorable team member is the one that suffers the most and, most importantly, detail is everything. When being approached to make a trailer, Plastic Wax can be given anything from complete assets and a script to just a concept outline. This means that in the latter scenario, they not only need to craft how the trailer will flow but also create all the characters, scenery etc from scratch. And depending on what point of development the game is in, Plastic Wax can influence the creation of a character. 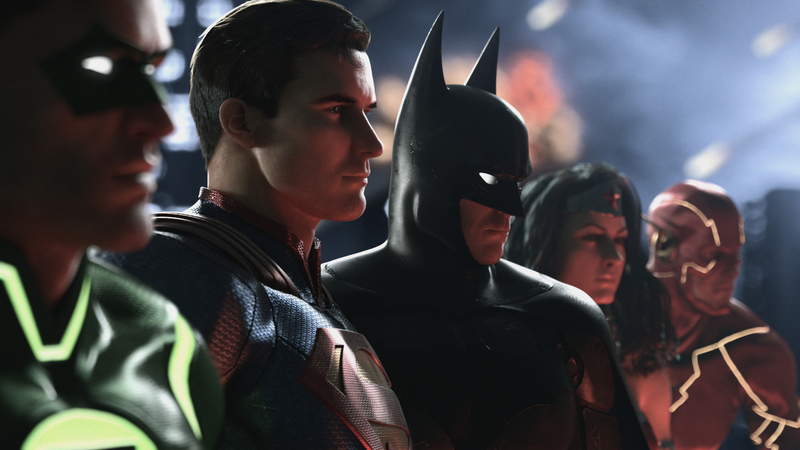 If you’ve spent any time in the gaming community during trade show seasons, such as E3, Gamescom, etc, then you know the response to a lot of cinematic trailers is: “looks awesome, but what is the actual game going to be like?” Given a cinematic trailer is often pre-rendered, presented more like a film, and done so early in development, players can be sceptical about how what they just saw will relate to the final product. When I put this predicament to him, Maddams acknowledged the concern, but thinks as game technology advances this should no longer be a concern. For their work on Lego Dimensions, the Plastic Wax team created their digital characters from scratch. While the designs of the characters were already done for them, they are real Lego pieces after all, the team still had to painstakingly recreate them in the finest details. Did you know that every Lego figurine has a little “L” and “R” on the inside of their leg joints to help the assemblers differentiate between their left and right legs? I sure didn’t, but Plastic Wax production manager Mick Hammell said they found them, and they are included in all their digital versions. There were also a tonne of other details across all the different characters from the various franchises included in the game. 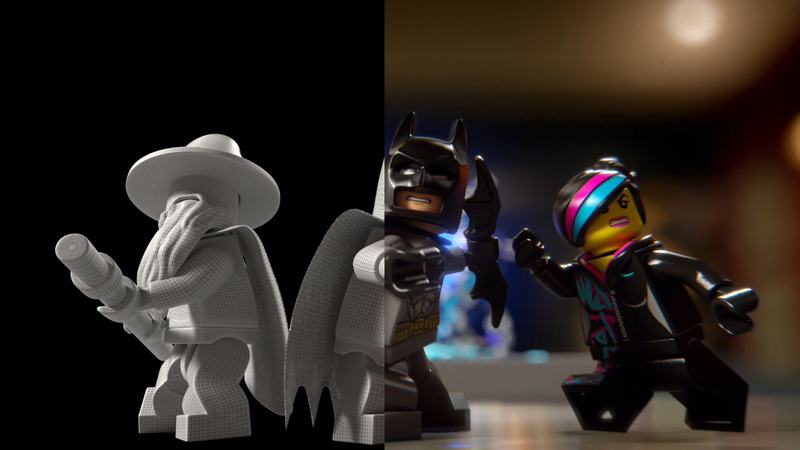 Hammell took us through how characters such as Wildstyle, Batman and Gandalf, coming from different mediums (specifially that Wildstyle is from The Lego Movie while the other two feature in Lego games), have different behaviours and rules. Wildstyle had to move in ways that her Lego joints allow, whilst Batman and Gandalf have plastic defying bending abilities. Go back to the screenshot earlier and you’ll notice the difference. 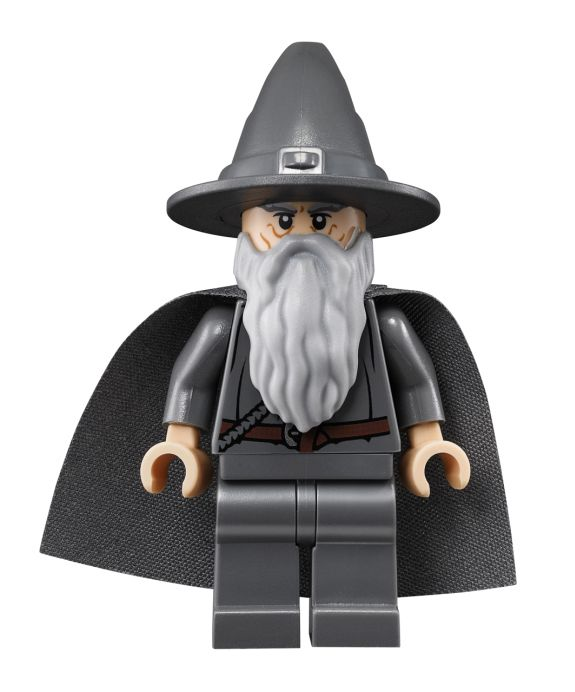 The other minute detail to be replicated in the Lego figures was the imperfect surface of their plastic, which the team referred to as “noise”. Matt Dignam corrected my assumption that this expression may have had some kind of relation to audio details. When it comes to visual effects, the detail can also be incredibly complex. For their opening cinematic in Gears of War Ultimate Edition, the gigantic explosion featured at the end required many layers of detail and hours of processing time. Each layer of detail required it’s own rendering time, and those layers ranged from the fire itself, to all the individual light sources (moon, fire, laser, reflection etc.) on each surface, the smoke, the foreground objects, background objects and the mushroom cloud billowing above it all. Speaking at the panel, the team said it took approximately 40 hours to render that entire explosion sequence on a PC with a staggering 128GB of RAM. I asked if the guys had ever benchmarked a sneaky game or two on that rig and how many frames per second it can run Crysis at. They laughed, but Dignam said that not even it would be up to the challenge of running Crytech’s beast of a game, but not for the reason you’d think. The other most important area of detail is in the behaviour of characters. Cinematics for video games often depict specialised combat, like sword fighting, use of military weapons and tactics, as well as good old-fashioned martial arts, and the characters shown on screen need to look like they know what they’re doing. This is where Plastic Wax uses motion capture technology along with stunt performers, dancers, gymnasts and many other physical performers to make sure every gunshot, punch, stab and tumble looks as real as it can be. 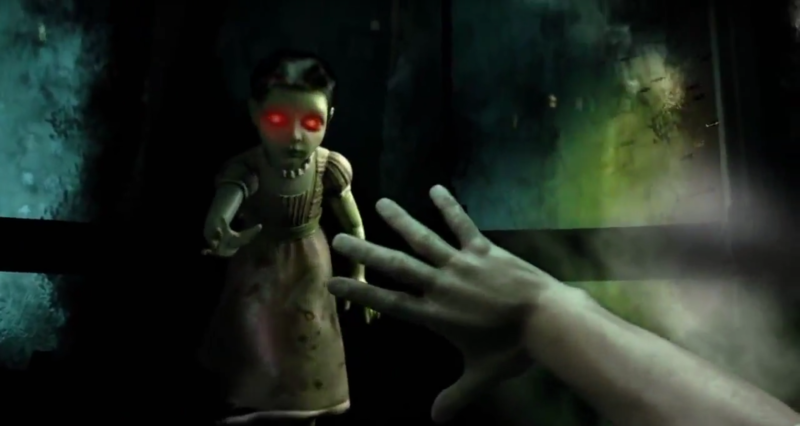 This trailer was one where the team was able to come up with the sequence of events depicted as the script from the developers didn’t come with specifics. Plastic Wax pitched moments such as the soldiers tossing the man out onto the street and executing him, and once approved had to go about blocking and capturing the actions themselves. They told me they often use themselves or objects as place-holders while recording the motion capture, and that for the particular instance where the soldier shoots the man, they used a regular favourite as the victim: an adorable pink teddy bear. Matt Dignam said this teddy bear, left behind by a previous performance group, has been a regular victim of their violent motion capture sessions. I asked if the teddy bear had a name, which sadly it does not, however I was told I was more than welcome to come up with one. I’m torn between Prometheus (because I love Greek mythology and for the continuous death analogy) or Rosie (because “her eyes said: why?!”). If you choose one guys, let me know. For more info on Plastic Wax and to check out more of their work, you can head over to their Facebook page here. Send your punching-bag bear names to Tom on Twitter: @tomdheath. Follow LoadScreen on Twitter, @load_screen, and like on Facebook for more gaming news and reviews.